12V DC 100psi diaphragm water pump. 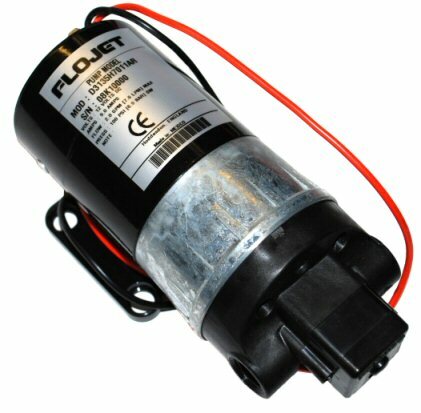 Similar performance to our 100psi Shurlfo Pump but with a 7.6lpm open flow rate and better self priming capabilities. Suitable for any length of water fed pole and upto 100m of hose. Comes with 3/8″ female threaded ports. As always we recommend use of this pump with our Flowmaster electronic pump controllers to ease the strain on the pump and allow fine speed adjustment.